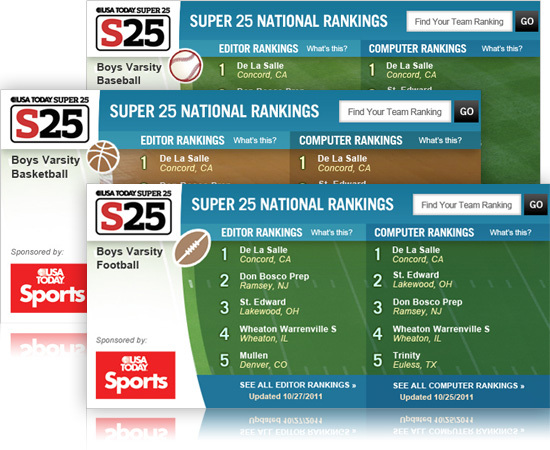 In the late spring of 2011, USA TODAY Sports rebranded the Super 25 rankings. We had to create a new widget to display both editor and computer rankings on several main pages to drive traffic to the full sets of rankings. We also had to allow for potential sponsorship, change of sport, and encourage as much user interaction as possible. Every school is a hot link that takes the user to that school's computer ranking page, and any user can search for his or her own team.